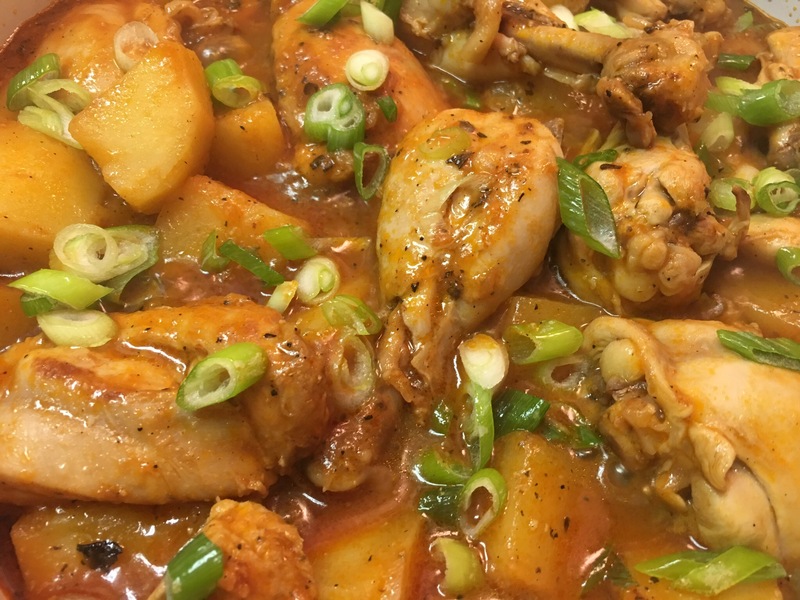 West Indian Stewed Chicken with Potatoes and rice – Hurried Home Chef! 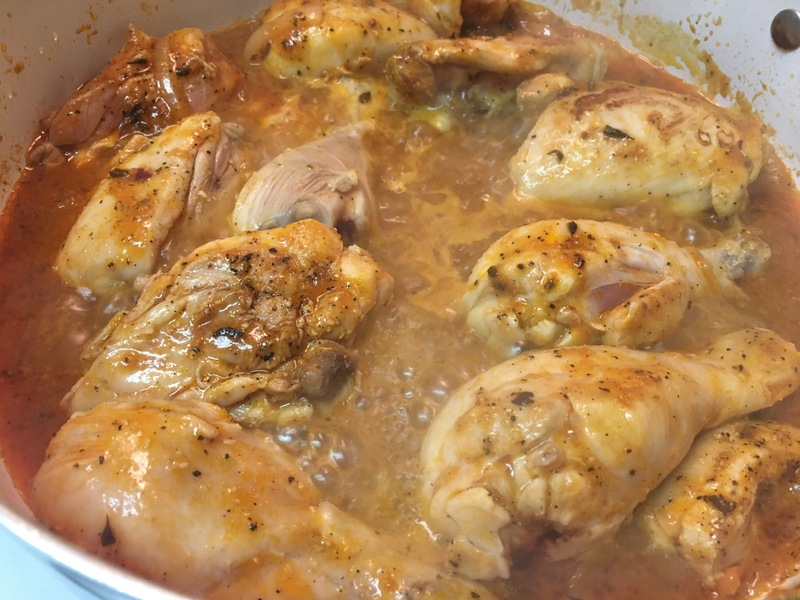 There are many variations on Stewed Chicken in the West Indies. This is just one of them. I start with chopping the onion. 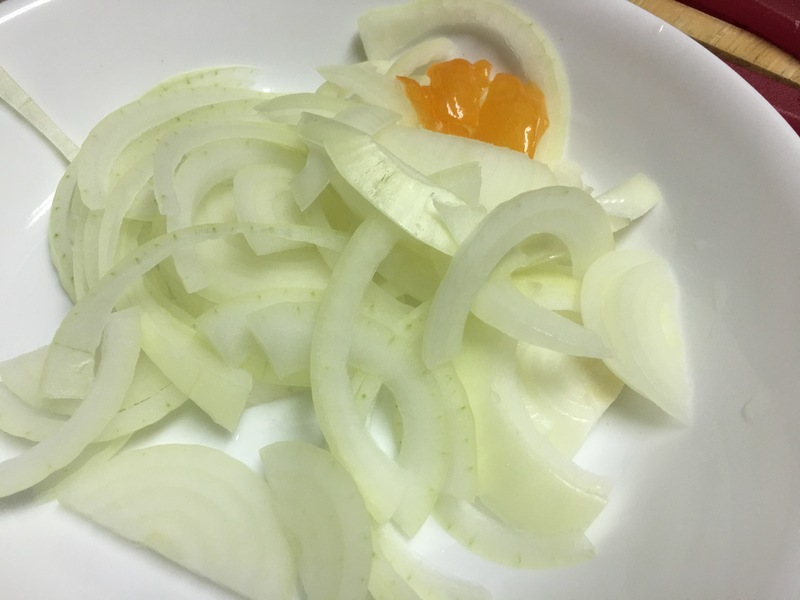 I like a lot of onions, so I use a large one and cut equally. You can dice smaller–if you have picky eaters. I used about 1/4 of a habanero pepper without the seeds. Sauté these in some oil, I used a nonstick pan to use less fat. Let them cook on medium high heat without browning them. 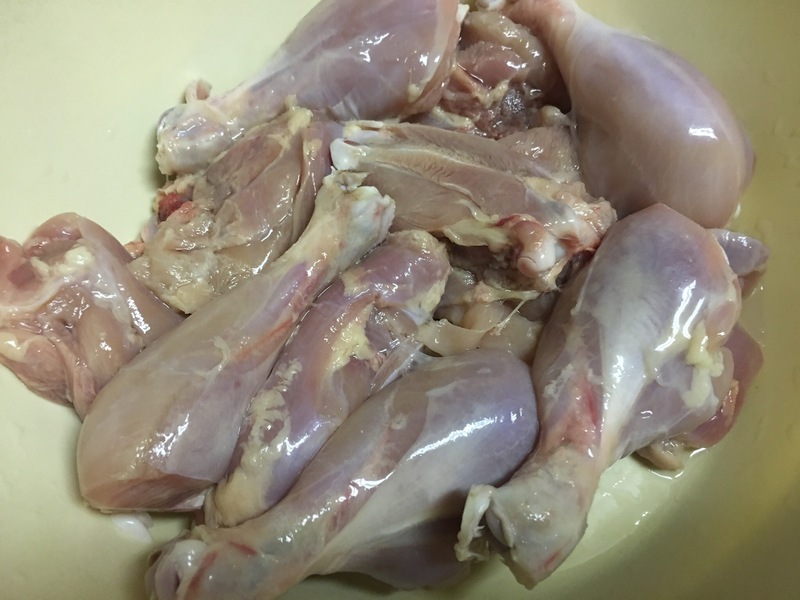 Meanwhile, take the fresh chicken, remove the skin, trim as much fat as you can, then wash it with apple cider vinegar. Here I happened to have legs and thighs, so I used them. You can also use a whole cut up chicken. 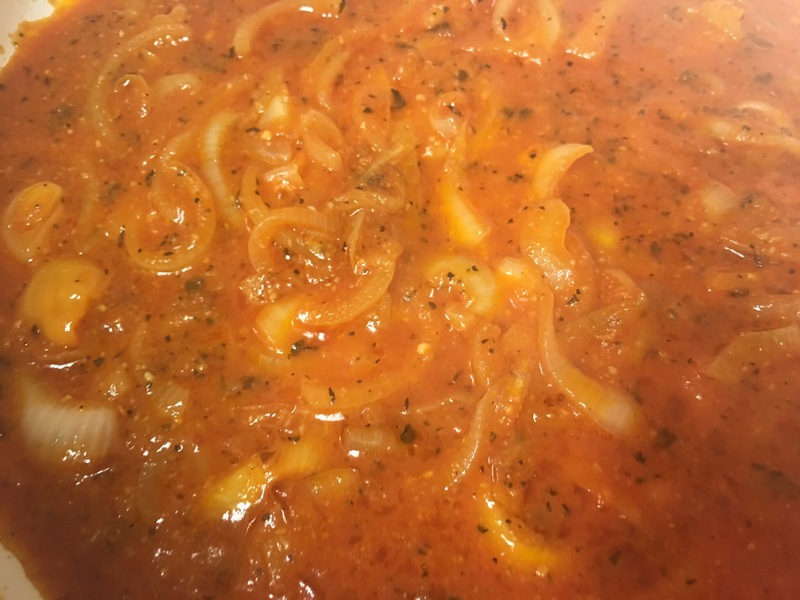 After you sauté the onions, then take about half a tiny can of tomato paste, dissolve it in some boiling water, then add to the onions and cook it a bit. I added some black pepper and thyme, along with ground garlic. During this time, you can be peeling and dicing the potatoes and green onions. Add the chicken and a chicken cube if you have one, and continue to cook on medium high heat, add some boiling water to keep it from sticking. Cover and let it cook. After about 15 minutes add chopped potatoes. Once the potatoes are in, you should put water to boil for rice. 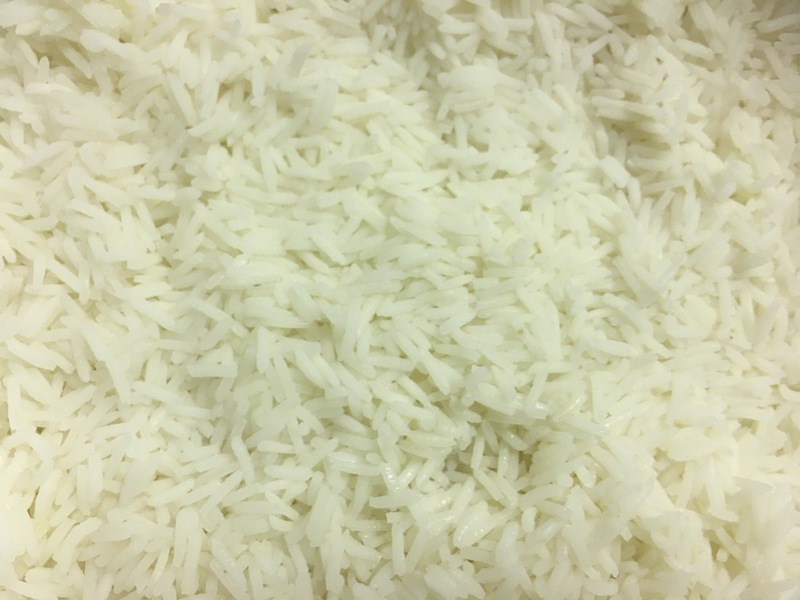 I use basmati rice, cook on medium high to medium heat and strain it. By this time you should have a clean kitchen with all dishes done. Once the potatoes are soft enough, you can thin out the gravy with some boiling water. Taste and see if you need to add more salt or pepper. Once done, dice some green onions and toss on the top, and turn off the stove.